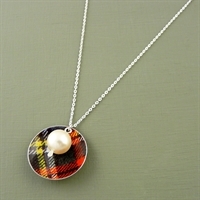 Our tartan print looks gorgeous with our Vintage Style Collection as a classic alternative to hearts. 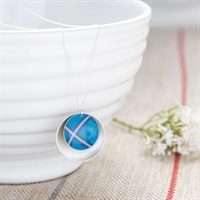 We use toffee, shortbread, tea and cake tins of all shapes & sizes to make these pieces! 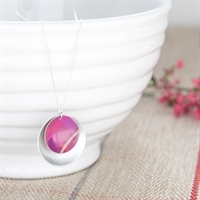 All our findings and chains are sterling silver from British suppliers. 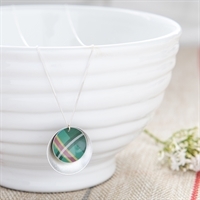 Your jewellery will be made to match as closely as possible to the photographs, but as all our jewellery is handmade and from upcycled tins, please allow for slight variations in design. 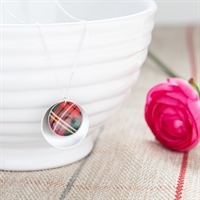 Domed Round necklace handmade from our collection of tartan tins. 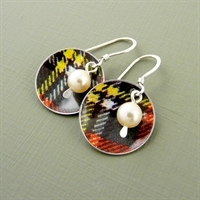 Vintage style earrings handmade from our collection of tartan shortbread tins. 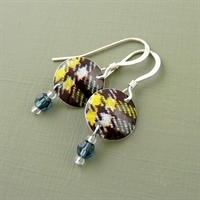 Vintage style earrings handmade from our collection of tartan tins. 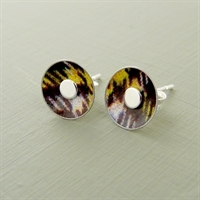 Vintage style studs handmade from our collection of tartan tins. Vintage style square studs handmade from our collection of tartan tins. 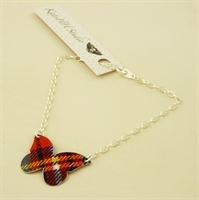 A gorgeous statement butterfly bracelet handmade in our tartan printed tin. 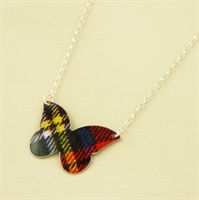 A large butterfly necklace in tartan printed tin.